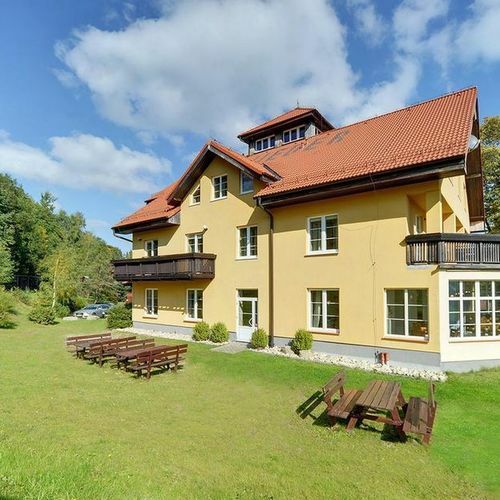 Rooms, services Hotel Belweder Karpacz is offering 6 tastefully furnished rooms to those seeking accommodation in Karpacz. At the hotel available child-friendly services will ensure a nice holiday for the whole family. Since the hotel has an own restaurant, you may also try fine local meals on the spot. If neccessary, you may park your car at the parking place of the hotel for free. At the hotel you may go online via wireless Internet connection (WiFi). You can find the exact list of services provided by Hotel Belweder Karpacz (including those for extra fees) and the exact equipment of the rooms on the information sheet below and on the information sheet of the respective rooms. Location The hotel is located Karpaczi Chairlift 1.9 km, Łomnicy dam 1.7 km. Catering The displayed room prices include daily served, fresh and rich breakfast. When booking a room, a different type of catering may also be requested, the hotel is offering the following opportunities: half board, no meal , breakfast. Payment The hotel is offering you the following methods for payment: cash, bank transfer. For the reservation to be complete Hotel Belweder Karpacz is asking for 30% to be paid in advance. Arrival, opening hours The earliest time for arrival and check-in is 14:00, the latest time for departure and check-out is 12:00. The personnel can communicate with you in the following languages: English and Polish. 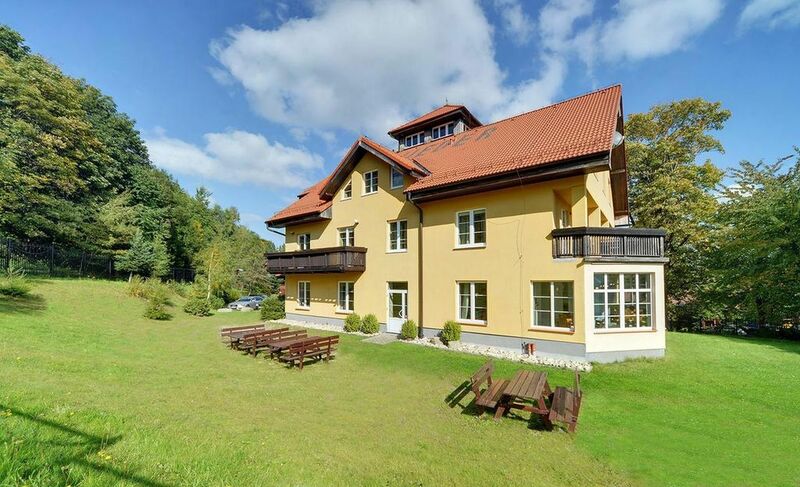 The rating of Hotel Belweder Karpacz is 10 from the maximum of 10, based on 1 real guest review.